The body of the Dwarf Sea Hare is a combination of speckles and patterns. The location of its rhinophores (organ used to smell) and its oral tentacles make it look a bit like a rabbit, hence its common name. If it becomes startled, it may release a purple dye to repel attacking fish. In the home aquarium, the Sea Hare will need a good chemical filter system to quickly remove this toxic dye before it causes problems. In the wild, it is usually found in shallow areas of seagrasses and coral rubble, preferring the shaded areas. Cover from the lights in the aquarium should be provided. It requires a large area in which to move. It prefers an aquarium with live rock and open sandy areas so that it can graze on algae, eating any Caulerpa in the tank. It is sensitive to high levels of copper-based medications and will not tolerate bad water conditions (high nitrates). If regular feedings of Caulerpa are not possible, it will need a supplemented diet of parboiled lettuce and dried kelp. I think they're cute with those weird little ear things. Look like mini Shreck. I've been thinking of getting one and letting it be moved from tank to tank! 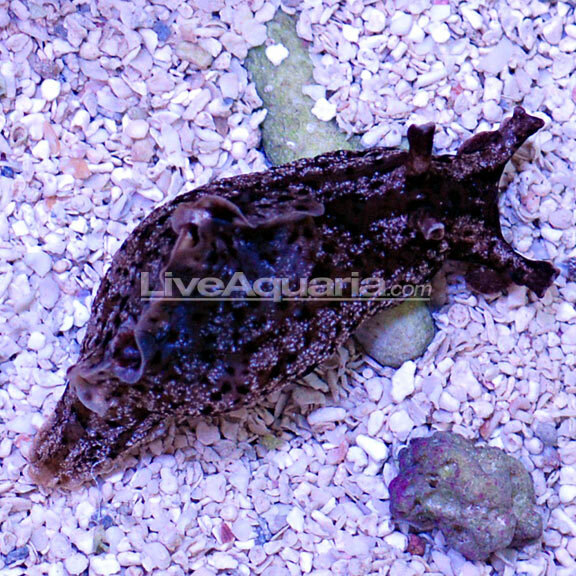 Who has a Sea Hare cleaning their tank? 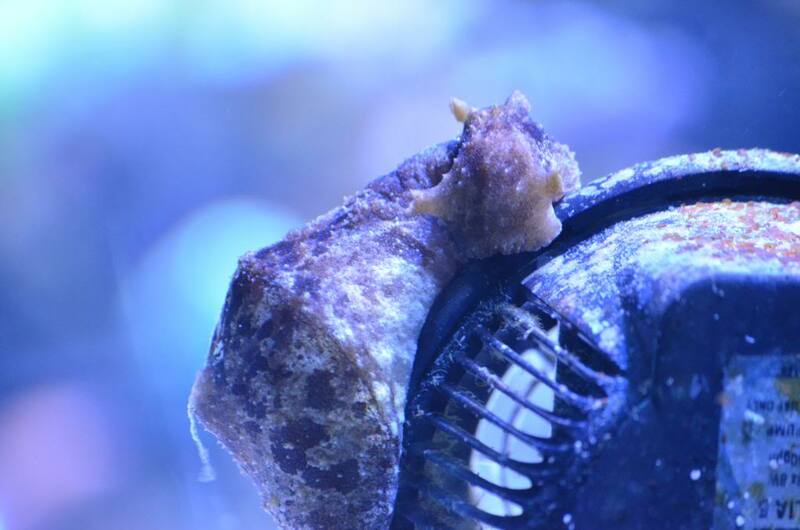 One of the lfs around here actually rents his sea hare out..i rented him for a week when i had a hair algea break out, within 3 days he cleaned a whole 65g tank...then i returned him..its kinda like legal slave trading lol. We used to have one here that was loaned out. I believe it was member @tjh9100 that had it. Lol...thats why i wont keep one...its a double edged sword..if u have algea then something is out of whack with your water and sea hares need good water quality to survive..but if your water is good then you should have very little algea then the sea hare will starve and die...just my opinion. Anyone have one of these guys cleaning their tank?